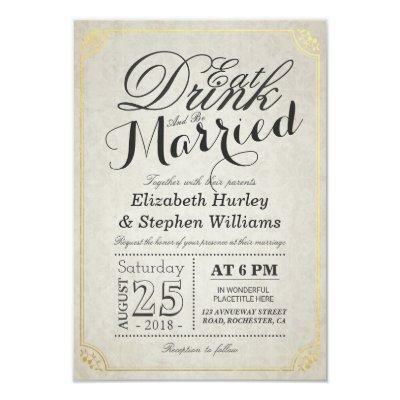 EAT Drink and Be Married Floral Damask Paper and Gold Border Wedding Invitation Card. A Perfect Design for your Big Day. All text style, colors, sizes can be modified to fit your needs!